@luckycat 作为程序员, 这种需求我觉得半个小时吧... 只要别自己手撸加密算法, 就好. "This particular vulnerability, in LastPass for Applications, our legacy, local Windows Application (which accounts for less than .2 percent of all LastPass usage) was brought to our attention by researchers through our Bug Bounty Program. In order to read the memory of an application, an attacker would need to have local access and admin privileges to the compromised computer. We have already implemented changes to LastPass for Applications designed to mitigate and minimize the risk of the potential attack detailed in this report. 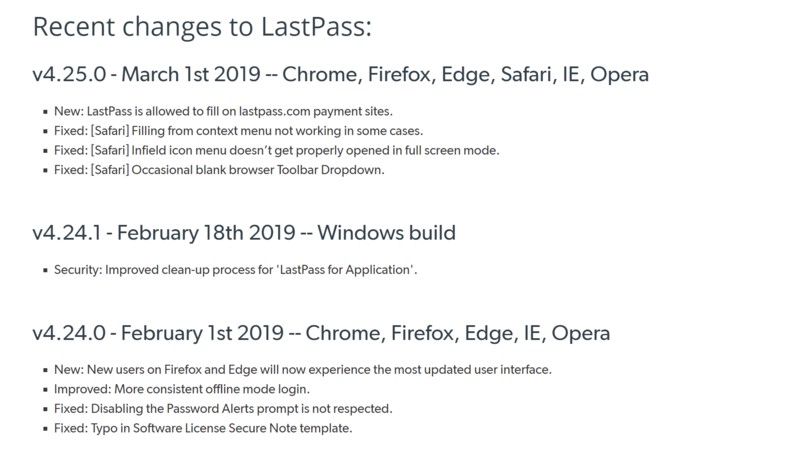 To mitigate the risk of compromise while LastPass for Applications is in a locked state, LastPass for Applications will now shut down the application when the user logs out, clearing the memory and not leaving anything behind." "LastPass for Applications will now shut down the application when the user logs out, clearing the memory and not leaving anything behind"